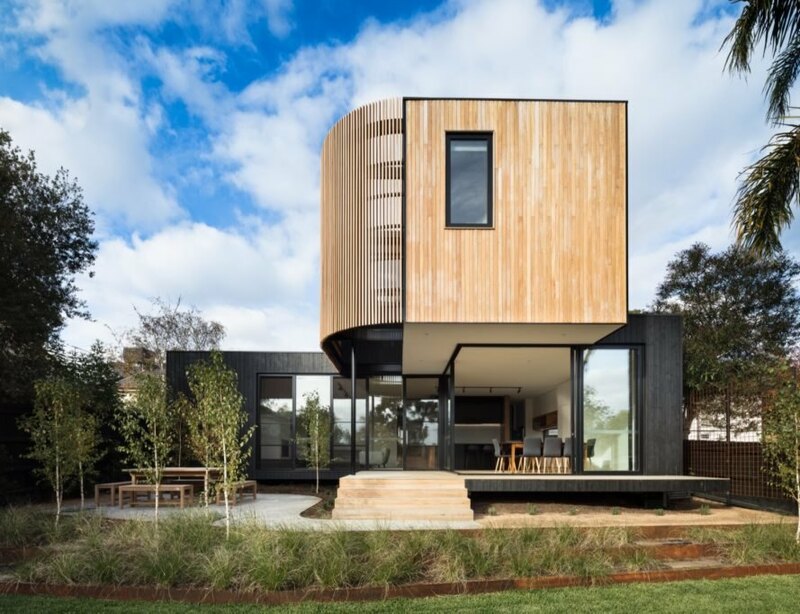 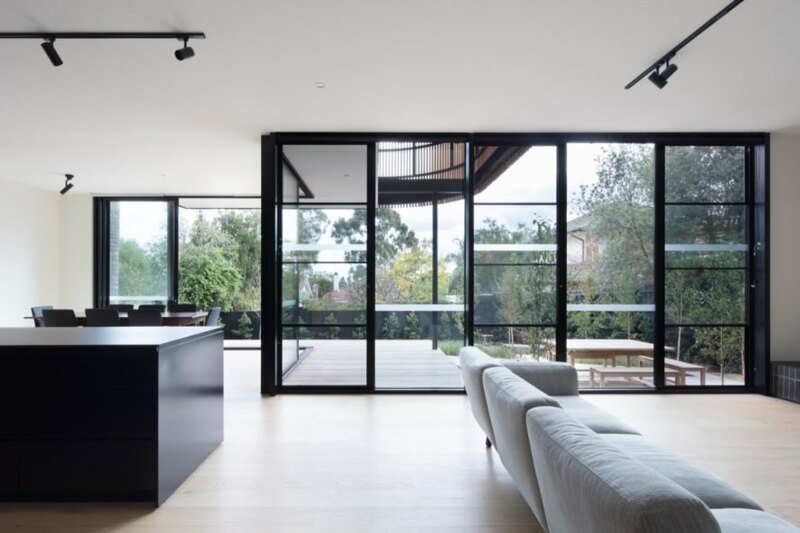 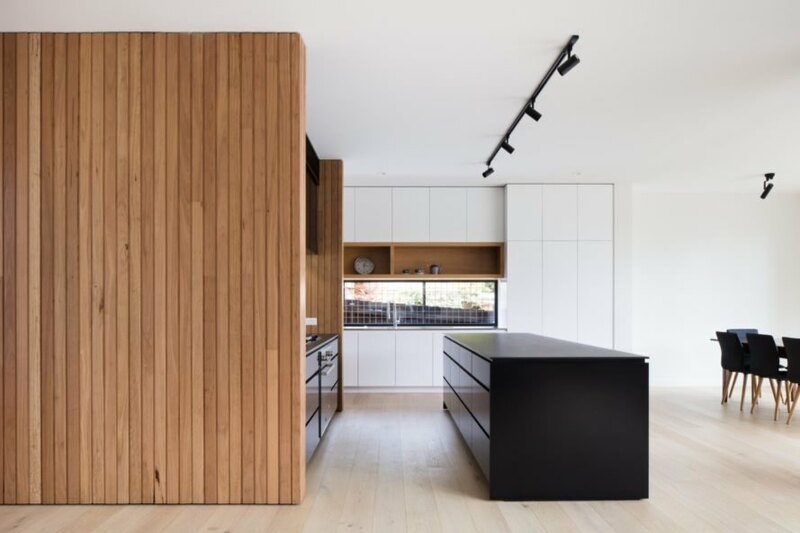 Modular architecture and sustainable strategies blend together in the Ivanhoe Extension, a bold and contemporary addition to a suburban home in Melbourne. 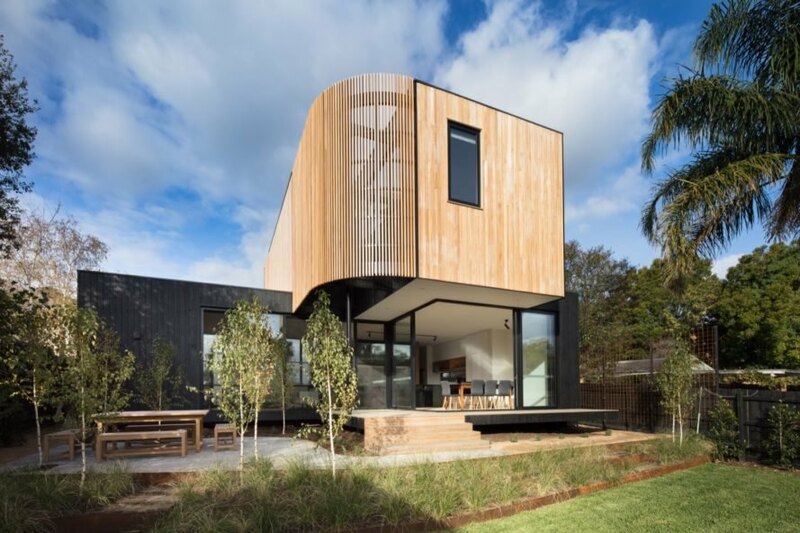 Designed by Australian practice Modscape, the two-story extension not only creates more space for the clients’ growing family, but also offers a new way to embrace their beautifully landscaped backyard. 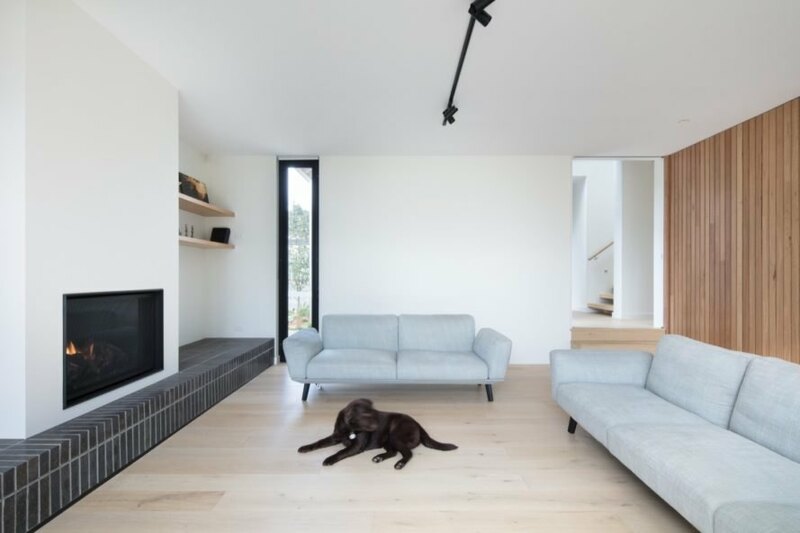 The house is equipped with many energy-efficient solutions such as solar passive heating, rainwater harvesting and double glazing with thermal break frames. 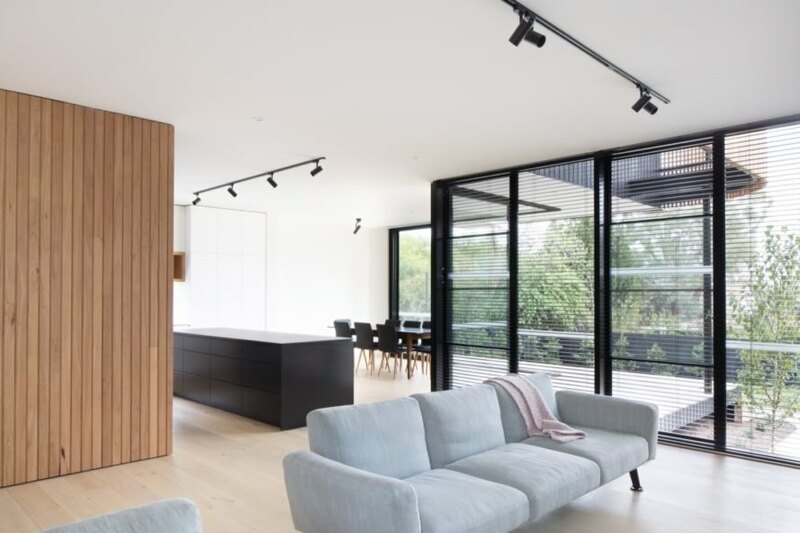 The modular components were prefabricated offsite within a factory so that the clients could continue living in their house free of disruptions. 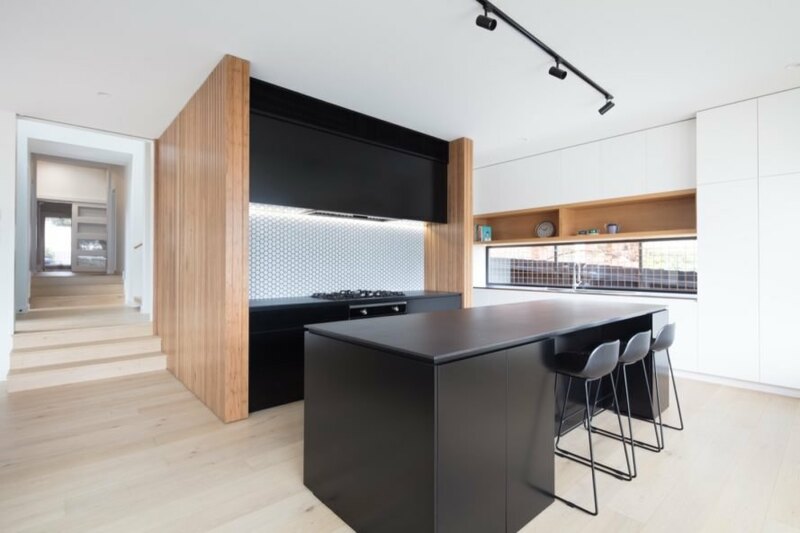 Demolition and site preparation took approximately three weeks — the clients moved out four weeks prior — and installation of the modules took only one day.